Marilyn Sewell, "The Inherent Worth And Dignity of Every Person" in With Purpose and Principle: Essays About The Seven Principles of Unitarian Universalism, Edward A. Frost, ed. "Again, we must monitor our actions to see that they fit our words. Should there not be a fit, our words will ring hollow." p. 30 Ibid. As Rev. Marilyn Sewell writes, "Imperfect as we are..." we are still called by this first principle into right relationship, and we struggle and stumble to define, describe, and enact these relationships. Religion, Rev. Galen Guengerich tell us, is to help us create the faith that will guide us from here to there, will guide to us the person, the people, the human beings we want to become and Life calls us to become. We are headed towards the Atonement, the oneness, the unity that we share with all our brothers and sisters and all of Life which we profess to respect and hold dear in our seventh principle about the interdependent web of all existence. 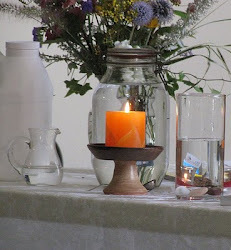 Socrates tells us that an unexamined life is not worth living and so as Unitarian Universalists we covenant with each other to live examined lives. This examination which is humbly undertaken to identify weaknesses and problems in how we live our lives is an essential part of our spiritual practice. Where we realize our imperfections, we are called upon by this first principle to promptly admit our mistakes and failings and to develop a corrective action plan to pursue the achievement of the "right relationship" when, as they say in twelve step programs, "it would do no further harm." Of course, we recognize if we practice the Serenity Prayer, that there are some things we just have to accept, and there are some things we can change, and pray for wisdom to know the difference. Recognizing the inherent worth and dignity of every person does not mean that we have to accept, tolerate, support, or respect all their behavior. Good people do bad things. Rev. Sewell writes, "This tolerance of harmful behavior is not consistent with our principles, for it is in violation of the law of love and healthy respect for the larger community." p. 28, ibid. 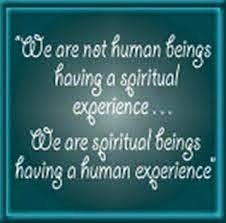 In application of this principle it is important to make a distinction between the person and the problem. 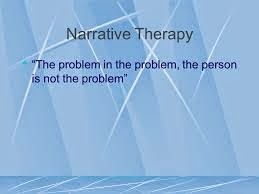 As I have been taught as a student of Narrative Therapy, "the person's not the problem, the problem is the problem." This idea is called "externalization" which means that we externalize the problem from the person so that we can see that the person is not the problem, the problem is. Once we externalize the problem, it can be dealt with and managed. If the person him or herself is the problem, then we have a really big problem unless we can control or eliminate their body which is not "them" but merely the container of the indwelling spirit. The idea of the first principle only works well if we recognize that behavior is not what has inherent worth and dignity, and often times we equate behavior with personhood. This is a huge mistake and in the daily practice of this principle must be recognized and taken into account. What is this "person" which has inherent worth and dignity? It is an interesting idea that just because we affirm the inherent worth and dignity of every person, we don't have to accept, put up with, want to deal with all their behavior. I don't think we have worked this distinction out enough. What is the difference between a person's inherent worth and dignity and their acting like an idiot? I have a hard time with idiocy. I do not suffer fools lightly and it seems like I am running into tons of them even at church. Is it me or them?